We work with organisations all over the world including large enterprises like Coca Cola, Unilever, and Panasonic but also Charities and Universities such as University of St Thomas and UQ. Licences from $585 per month or $12,000 for a one time on-premises license. Pros: After years trying to work with systems not suited to meet the demands we were placing on them, Asset Bank brought together all the functionality we were looking for in a platform to archive our documents, photos, and dozens of other file types generated from 30 years of being in business. We are looking forward to saving time and frustration locating our files and collaborating on them across our various teams. Cons: It took a little while to catch on to the industry terminology and ins and outs of managing a system like this, but the Asset Bank team was there to help at every step of the way! Overall: Asset Bank is the archiving solution of our dreams, with a customer service team to match. It is helping our organization pull together a variety of disparate databases cobbled together over the course of yearsfinally uniting our files in one central location with intuitive searching and a beautiful user-friendly interface. The customization options are seemingly limitless to fit every possible application of what is already a fantastic platform. It was intimidating to start the search for a new DAM, but Asset Bank jumped off the list as the clear front-runner, and proved the best even after rigorous comparison with competitors. The support of the Asset Bank team is what puts it over the top. At every turn in the process, the answer was yes, we can do that or we will figure out how to make it happen. Training that could have been boring was to-the-point and customized for our needs. Throughout the consultancy process, the Asset Bank team consistently transformed what seemed insurmountable challenges into conquerable bite-size chunks. A flawless experience! Recommendations to other buyers: If you're in the market for a new DAM, don't hesitate! Asset Bank is the one you are looking for. Easily the best decision we made, and has only kept getting better. Pros: The flexibility is outstanding. Cons: Honestly, there really isn't something that I can point to and say "I would change 'this'." Any issues we encountered were propmtly addressed. We were either provided a "fix" via the software, or we were instructed on how we could achieve the desired result using the existing software... which was most often the case. Asset Bank's team is truly invested in making this tool work to the user's advantage. Overall: Implementation of Asset Bank relieved my asset related workload immensely. I saved dozens of hours per month by being able to delegate asset management to the Product Marketing department and to the respective Regional Managers. Once everyone was trained on how to use Asset Bank, they tended to run with it and make it their own. Cons: - Not really a con but you need a dedicated person(s) to fully understand the software in order to create something which genuinely works for your organisation. It will work 'out of the box' but you will encounter issues further down the line unless you take the time to fully understand it and implement it properly. But this is how it should be for an application of this nature. Comments: Have been using Asset Bank software for over a year and love the ability to customize the software to our meet the needs of our agency and the quick search features in locating files. Once you've customized your Asset Bank software (hierarchy of categories, choosing of keywords and other fields) the adding of files becomes an easy process. It's time consuming on the font end but the rewards are the ease of locating exactly what you need from thousands of files. We've also utilized the slideshow feature on our website which is a beautiful way to showcase the photographs that tell the story of the United Methodist Church around the world. The light box feature allows easy sharing of photos via e-mail for quick zip file download. Despite being on a United States timezone, the folks at Asset Bank are very supportive in answering questions and troubleshooting. Very impressed with the search functionality, speed, ease of use, customization and customer support. My only word of caution is to test it with your CMS for compatibility. Also, be prepared with some British spellings, not really a negative. Yes, I am a big fan of Asset Bank and would choose it again. Thanks for your review. Great to hear you are a happy customer! We just wanted to respond on two of your points for the benefit of anyone reading this review. 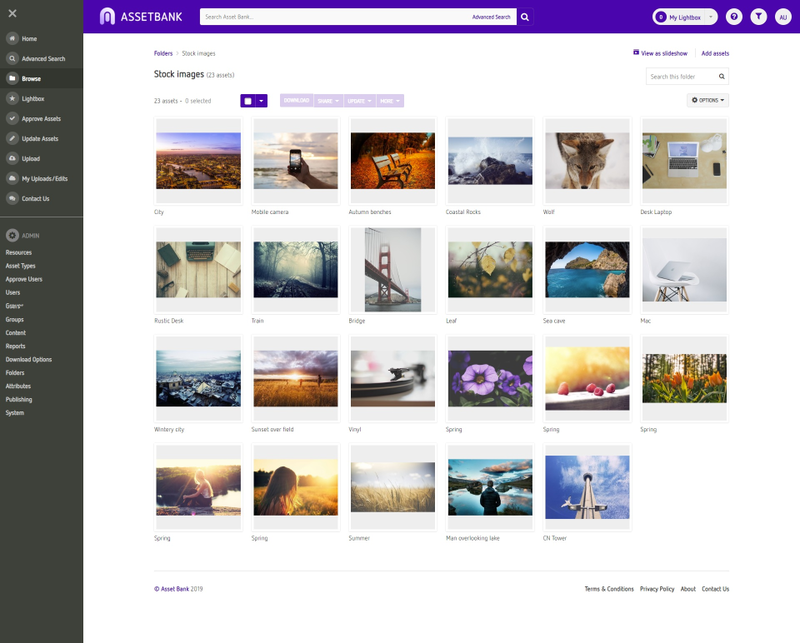 As long as the CMS has some flexibility to be changed (for example at the point where a user inserts an image into a template) we can integrate Asset Bank with it. There are other options if a particular CMS cannot be modified, for example using Asset Bank's 'embedded image' links or its API. Most user facing areas of Asset Bank can be changed to any language. The only pages that cannot be changed are some of the admin areas (eg pages used for configuring your Asset Bank). I hope that's useful? Please get in touch at any time if you would like to discuss things further. Pros: It is generally easy to use. And we are able to customise the software to meet our most important needs. Overall: It help us to catalog and manage our digital assets better. Overall: Our experience with Asset Bank has been great. The team came back to us with solutions in no time and some of our UAT feedback has already been implemented in the latest release. We could also very much rely on our project manager and consultant from Asset Bank to drive the implementation. They were always helpful in guiding us how we should best handle things we weren't sure about. We love the product and received good feedback from our community. Asset Bank is almost fully configurable by the Admin, which means that it can be adopted to fulfil different use cases. Although we use Asset Bank as an internal digital assets library, the options of sharing assets externally was one of our key requirements. Asset Bank enabled us to share externally while still complying with our security and data protection guidelines. Asset Bank search is great as it finds not only exact matches but also synonyms and includes phonetic search. Only the renaming of "Lightbox" to "Favourites" was challenging. The term is not everywhere managed as a variable. We recommend every new customer to rethink if a renaming is absolutely necessary before implementing it. Overall, we are very happy with the project delivery as well as the tool itself and we are looking forward to many great releases! 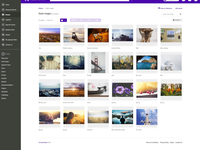 Recommendations to other buyers: rethink renaming of fixed terms such as "Lightbox" to "Favourites"
Pros: Lightboxes are quickly and easily shared with whomever we need. Cons: Lightboxes NEED to be able to have password protection options. This would solve most of the issues we have with Asset Bank. Overall: A central hub for storing and sharing assets for our global company. Thank you so much for your feedback Bradley! We just wanted to let you know that our product team already have plans to deliver password protected lightboxes and we expect this feature to be available within the next 4-8 weeks. We'll let you know as soon as it is available. We can confirm that password protection options have been added to the system when you're publishing a lightbox! Comments: As an integrator for Asset Management solutions I have been using Asset Bank exclusively for the last 5 years. We have integrated a lot of clients into the system with the knowledge that the project will always go smoothly on the install and the setup of the instance, but more importantly that the support behind the instance is ridiculously superb. The last thing I want is to have a client with an issue and no support behind me. I always joke (though based on truth) that if I have not heard back from support in a very timely fashion I know they are all dead). Being based in the UK has not really been an issue for time zones as if they are not there to answer right away, you will most likely wake up to the answer from support. It has full functionality out of the box for all those bells / whistles that are expected, but one of the vastly overlooked features is its appearance and ease of use. It is designed in such a way that is natural to navigate and use. It does not look like a mirror to a "c" drive windows 1998 folder system. This makes for easy use of the system and allows for easy adoption for new users which in our world, is over half the problem with integrating systems. People hate change though they all like Asset Bank. Take a look at their offerings, you will not be disappointed. Pros: Easy to navigate, very good design. Cons: I would suggest some things: the option that you could send a message to users by choosing them from the list (now there is option to send to all group). To delete folder not one by one, but that you can chose several folders and delete them at once. To see in email from Asset bank who is asking for a permission do upload/download something (as now only notification comes that someone is asking for a permission). It would be great if image of folder could be adjusted automatically - as now I need to resize it each time when I want to change it. Overall: I appretiate very much kind support of Asset Bank team who helped me a lot to solve some problems with our digital library. Thank you for your feedback, it is good to hear that you are finding Asset Bank easy to use and that the Support Team have been able to help you with any queries that have come up. Taking a look at the features you've requested, there are already options available in Asset Bank to help perform some of these tasks. We will contact you directly to help you set these up. Pros: Overall the software was very easy to use and found it easy to customize to meet our firms needs unique needs for digital assets around the globe. Asset Bank's team is truly invested in making this tool work to the user's advantage. Comments: We are a small in-house AV shop of a worldwide organization with members in over 190 countries. We don't have a dedicated IT department for audio/video. We happened upon Asset Bank while searching for a product that would help us deliver video/audio materials to our organization's members via web that up until that point had been receiving everything through couriers or by snail mail. AB has been instrumental in allowing us to get that done. We set up our system with careful planning and using a couple of online consultancy sessions with Asset Bank staff. The online Knowledge Base materials are invaluable. 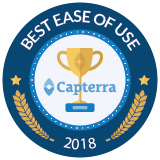 The versatility of the system allowed us to configure multiple aspects while maintaining professional and powerful database management characteristics. Also, the ability to set permission levels, harvest metadata from uploaded video files and link text and audio assets to a given video has given us a functional and affordable workflow. Our members have found the AB interface very clean and user friendly. No doubts about recommending Asset Bank to other companies. Pros: Asset Bank is easy to use, both from the upload and admin point of view through to the searching and downloading. The level of detail you can apply to the assets is brilliant, and at the same time you still maintain the user friendly experience. Very easy to use DAM-System with great features for a reasonable price. Pros: When we set up our Asset Bank we were overwhelmed about the great amount of possiblities how we canuse our DAM-System. It was and still is a pleasure working with this tool. The support team is doing a great job by helping when there are any kind of issues. 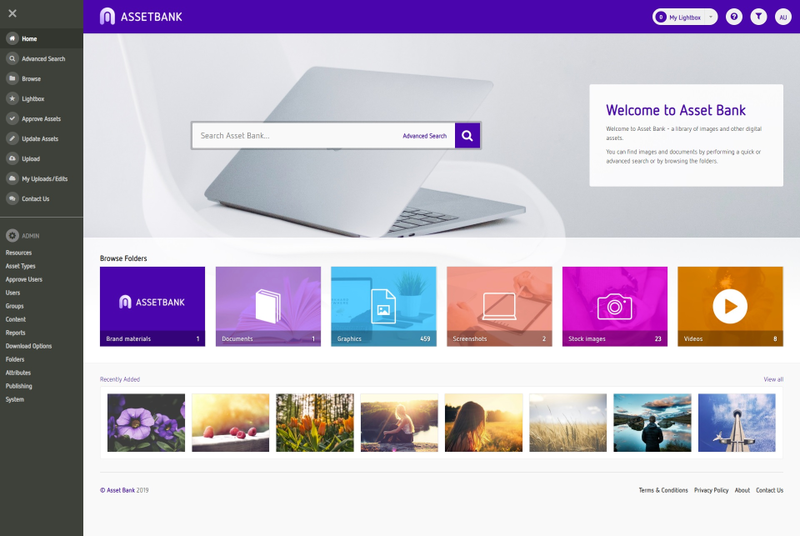 Overall: Asset Bank is a versatile Asset Management system with an easy to use interface and enough power and flexibility to tailor your company's needs. From watermarking to download limitations, Bright's interactive features are powerful enough to control keywords, groups and permissions for any size organization. Recommendations to other buyers: More tool tips and user suggestions would be nice. I studied all of the AB documentation, but it was mainly the screenshots rather than the articles themselves that helped me set up my own site. We've purchased this software in order to manage our large collection of case related images. Pros: The software is very intuitive and it's quite easy to grasp the basics quickly and the more complicated bits during the initial consultation phase. The training was tailored to our particular requirements , thoughtful and thorough. We found the Assetbank team to be responsive and helpful. 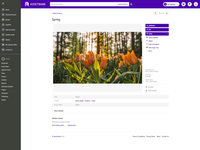 We're pleased that the software does more than we were originally expecting (for example, adds our watermark, crops to size etc). Cons: I found some of the field name terminologies initially a bit alien and the list of attributes overwhelming, but names can be changed and unrequired attributes hidden. Lightning quick DAM with excellent feature set! Comments: Since joining Study Group just 6 months ago I have been a regular user of Bright Interactive's Asset Bank. It is truly feature packed and offers excellent search and categorisation facilities. Being able to quickly create and share (both internally and externally) your own Lightbox's (essentially a customised bundle of assets) using your own company's branding at every step of the way is a huge bonus to us and helps maintain an extremely high level of professionalism when communicating with our partners/clients. Comments: The Asset Bank software is easy to upgrade. The installation software is great, doesn't matter what version of Asset Bank you are running, the upgrade software automatically detects your current version and does necessary steps to upgrade your database and software. Best of all, all your customize colors, looks & feels, company logos are all there after the upgrade. You don't have to reapply the changes again. I would highly recommend using Asset Bank software. Great job Bright Interactive!!! 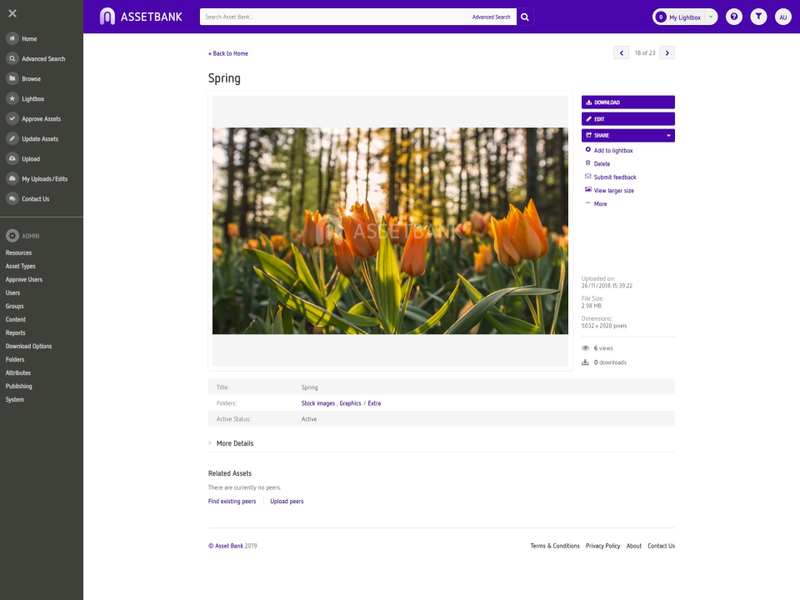 Comments: I've been using Asset Bank's digital asset management solution for just over 2 years. From my first contact with the company, it's clear they are passionate about the product and keen to find a solution that fits well with businesses of all sizes. The system is very user friendly, easy to use and functions how you would expect it to from day one of installation. I've had no issues using the system over the past 2 years and would highly recommend the DAM solution from Asset Bank. Pros: Engaging platform with multiple applications. Easy to use. Overall: I have found the customer support to be a first rate service. We have recently been overhauling our asset bank to make more effective use of keywords. Victoria has gone the extra mile in facilitating visits and phone calls with other universities who have gone through this process. This invaluable insight has enabled us to make progress much quicker than would have been the case. Comments: We are really pleased with Assetbank in terms of its functionality, how it looks and how easy it is to use. The whole project has run really smoothly with great help from the customer services team, especially Stewart Oak. We are looking forward to adding more images and promoting it more widely to the staff and students at LSHTM. Comments: Our rep did a very nice job upgrading our system as part of your system health check. He also provided excellent subsequent trouble shooting when we noticed a couple small issues. I am very pleased with the work he did and reinforces my strong positive opinions about the support staff at Bright Interactive. Well done! Comments: The customer support from Asset Bank is superior. They go above and beyond to explain how to customize the tool and help you with configurations. They are quick to respond and very thorough. We really enjoyed working with them through design and our implementation. Comments: The new layout is quite pleasant and the new features are very useful and userfriendly. Our users are really happy with our service also thanks to Asset Bank! We're just getting started but so far everything seems great. Comments: The team at Asset Bank have been very supportive, offering detailed training to make sure that we are able to get the most from the software. Comments: Intuitive user experience, great value with a fast and friendly support team. Highly recommend Asset Bank! Overall: Thank you very much fantastic first experience with your product. I will be presenting this to my clients to show them how feature rich it really is. Recommendations to other buyers: Make an full on-line demo.